Villa Sole di Capri was founded in 1960 as the summer residence of Giuseppe Gaetano Angiolllo, second son of Olga De Gregorio (one of the noblest families of Sorrento and owners of the hills of Massa Lubrense) and Senator Renato Angiolillo, founder and director of the daily “Il Tempo “and one of the most powerful men in Italy who in second marriage married Maria Girani, the queen of Roman political salons. At Villa Sole in Capri Gaetano spent his holidays organizing parties and concerts in the company of friends and artists like Totò, De Filippo brothers, Roberto Murolo, Peppino Di Capri, Armando Romeo, Ugo Calise, Dean Martin, Aldo Fabrizi and many others. 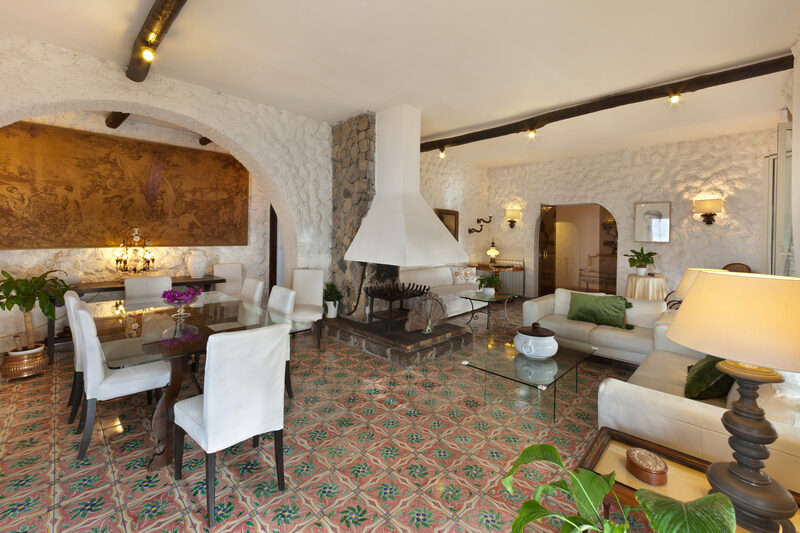 After the death of Gaetano the Villa was transformed into a resort by Renato Angiolllo jr, the only son born from the marriage with the actress and mannequen Luciana Nevi, who has acted in films like “Il Sorpasso”, “Camilla”, “Sole Women”. …. At the same time she created in the capital the atelier “Luciana Alta Moda” with which Italian fashion landed for the first time in the USA.